Lyrics and music by Chris DuBois and Brad Paisley, recorded by Brad Paisley, “Welcome to the Future”. My primary business these days is coaching Lawyers in Transition, so from my vantage point, I see large geographic areas throughout Canada and the United States that will have no practicing lawyers within hundreds of miles. At the same time, law school graduates will cluster around metropolitan areas looking for entry-level positions primarily to pay off law school debt. I would like to think that our talented young professionals will start looking for opportunities with baby boomers, particularly in more rural areas of the country to continue the tradition of serving the public. I’ve follow the writing of Sherryl Turkle, a psychologist and director of the Massachusetts Institute of Technology (MIT) Initiative on Technology and Self. Professor Turkel is concerned about how we may be losing things that Thoreau thought were essential to discovering an identity. Professor Turkle claims to be teaching the most brilliant students in the world (at MIT). She claims that they have done themselves a disservice by drinking the Kool-Aid and believing that a multitasking learning environment will serve their best purposes. I too am concerned about this “multitasking learning environment” for lawyers. This flat out scares me. We owe each other more. I think more and more firms will be looking to outsource all human resource operations. There are increasing complexities involved in running any business — such as human resources administrative tasks including staying up-to-date on staffing, technology and training, as well as staying compliant with federal and state employment laws. We will see more companies like Oasis Outsourcing. I think we will see more of this as well. I think the public will be very happy. I think 2012 will be the year that law firms and the Courts can go almost completely paperless with the secure and cloud based litigation document management and exchange tool….DocXchange. Thomas L. Spraggs, Spraggs & Co. Barristers and Solicitors, Telephone: 604.464.3333, Email: TSpraggs@spraggslaw.com, 1030 Westwood Street, Coquitlam, BC, V3C 4E4, www.asktom.ca. Darin Thompson, email: Darin.Thompson@gov.bc.ca, twitter: http://twitter.com/darin_thompson, Legal Counsel, BC Ministry of AG. My tip to lawyers is to stretch themselves beyond their comfort zone by doing something new whether it be engaging with others through social media, writing an article, chapter for a book, a blog or directing one’s practice to an area of interest rather than what one has traditionally done. For example, this past year, I started engaging with others through Twitter, I began developing an e-commerce and technology practice, I became involved as an author in the writing of a legal text and I will be quoted in the media in the new year on one of my practice areas. Until this year, I didn’t do any of these things; instead I stuck to working my cases and servicing my clients without really growing myself as a lawyer or a businessperson. The greatest benefit I have seen is not increased business from these new activities (although that is certainly a benefit). Rather, it is the feeling of empowerment and satisfaction that directing your career and life provides. So, to summarize, my tip is for every lawyer to engage in at least one activity that makes him or her slightly nervous or uncomfortable as it is only in this way that one will experience personal growth and the satisfaction that comes along with it. All by itself, the practice of law is such a complex beast that I marvel at our ability to get it right even most of the time. The Precautionary Principle creates irrational demands, not just on the part of government and our governing bodies, it even filters down to our fellow practitoners and our clients. I recently was handed 4 pages of trust conditions on the purchase of a $65,000 vacant lot. I have tried to explain to a lawyer from the Big Smoke why an environmental assessment is neither required nor necessary on the transfer of farm land in rural Manitoba. I have attempted to persuade a chartered bank that my client does not need a survey or title insurance when mortgaging a section of farm land in Manitoba’s Torrens system. God help me the next time I have to square my obligations under the Client Identification and Verification rules with PIPEDA. So what time to I have left for administration? Success in the coming months will come only with good administrative practices and systems and, in particular, good technology to support those administrative practices and systems. Lawyers don’t need an office manager who just orders the copier paper and pays the suppliers. They need someone who can make sure those tasks get done and who chooses the technology, implements it, trains the staff, monitors the office systems and technology to ensure proper use and timely upgrades, as well as creating a succession plan for staff turn-over (cross-training and office procedure manuals), interviews and assesses potential new hires, supervises a new employee’s training and integration, and just generally thinks ahead (which lawyers rarely do). In his or her spare time, they need to kick lawyer(s)’ asses by ensuring compliance with a strategic plan (or, if no Strat Plan, at least a budget target). Lawyers simply do not have the time and, quite frankly, do not have the skills to do all of this. So, I predict that the forecast for dealing with 2012 is – you will Hire A REAL Office Manager if you want to succeed. Bjorn (“Barney”) Christianson, Practice Management Advisor to the Law Society of Manitoba, email: bchristianson@ccjlaw.ca, twitter: http://twitter.com/bjornqc. The legal profession in 2012 will see further slow erosion of traditional legal service delivery and law firm structuring. Too many disruptive forces in the marketplace have influenced our clients to alter their concept of what defines accessibility and affordability from service providers – even professional service providers. I predict that the firms that intend to be around and competitive ten years from now are going to seriously start investing time in 2012 to develop a plan to add unbundled or limited scope services to their full-service representation offerings. They are going to start the process of developing their own unbundling strategies to appeal to what consumers need for certain legal services and appeal to the self-help or DIY clients who constitute a significant portion of the latent market for legal services. These firms will start figuring out how they will collaborate as well as compete with branded networks and other nonlawyer legal service providers that have the financial and brand power to directly appeal to the public. These firms may create customized client portals for online delivery or start using web-based tools to streamline the document creation process so that they can spend more time counseling clients and focusing on the value of their services rather than handling administrative or routine functions of legal work. Responsible adoption of unbundling by lawyers will help push our profession into the next generation of professional legal service delivery – opening up new business and practice potential for lawyers and law firms and increasing access to justice for the public. I would like to believe that by 2012 the legal profession has moved past the denial phase and is ready to step up to the plate and make significant changes to the law firm business model. Stephanie Kimbro, www.kimbrolaw.com, blog; www.virtuallawpractice.org, twitter: http://twitter.com/stephkimbro. Have a Sharper focus on clients – on client services and client selectivity. Technology – mobile devices are the new norm, which has major implications for security and confidentiality. The consequences of the innovations surrounding alternative business structures will not be limited to England and Wales. Law franchises are just the start. Moves towards unbundling will signify a more relaxed approach to lesser levels of legal service which meet client needs and cheque books. The globalization of profession will pick up pace – and Canada will not be immune. Simon Chester, Partner, Litigation and Business Law, Heenan Blaikie SRL / LLP, T 416.643.6905, M 416.388.7511, F 866 252.6067, email: schester@heenan.ca. Mid-size and smaller firms that have not recruited at law schools should reconsider. Since BigLaw firms continue to hire fewer entry level associates, there are many 2Ls and 3Ls with excellent grades and other qualifications that are willing to join a mid-size or smaller firm even though they will make less money. Robert “What’s Hot and What’s Not” Denney, Robert Denney Associates, P.O. Box 551, Wayne, PA 19087-0551, 610-644-7020 (office), 610-296-8726 (fax), bob@robertdenney.com. Market and mind share are increasingly ruled by quality content and real time delivery. The playing field has been leveled now that solos and small firms can reach prospective clients directly with targeted information at a fraction of the cost of traditional marketing and public relations strategies. The law firms that will win in the new economy will focus on creating great content that brands them as firms worthy of doing business with. The phrase publish or perish remains apt, but the publishing platforms will continue to evolve. As a teacher in 1981, investing in an Apple® II personal computer transformed the way I worked. As a lawyer in 2011, investing in an Apple iPad® 2 is transforming the way I work. Although 30 years have passed, my work now and my work then share a common theme – to gather knowledge and to share it with others to help them achieve their goals. To college students in 1981, I taught concepts and skills to help students achieve their educational and career goals. I used the Apple II to develop lesson plans and teaching materials, track student marks and calculate class averages, draft, edit and share teacher manuals. To clients in 2011, I explain sometimes complex estates and trusts concepts to help clients decide how to arrange their affairs to the best advantage of themselves and those whom they will one day leave behind. I use my iPad 2 to research and explore via the internet, to draft, edit and share documents, to take notes during meetings, to sketch flowcharts quickly and easily to show how estate assets will be distributed and display the flowcharts on our large boardroom monitor, and more. I want technology tools that make it easier to explore and share knowledge and ideas. Both the Apple II and iPad 2 accomplished that and more. Each, in its own time, have lead/is leading the way to the future. I predict that Apple will be around 30 years from now even without its visionary leader at the helm, although Apple products may sport a multi-coloured Google logo alongside the bitten McIntosh apple! I also predict that touch screen devices will be the norm on pretty much all personal electronic devices. That’s an easy prediction based on my own experience and anecdotal stories from colleagues. As a new user of touch-screen technology, I find myself touching everything that has a screen and expecting it to do something. How annoying when nothing happens! I’ve heard numerous stories of children (in households where there is an Apple touch device) doing exactly the same thing. I’m sure the adults in those households are doing it too … just not as willing to admit it! Donna Neff, JD, TEP, CS, a solo lawyer Ottawa, Canada, and is a Certified Specialist in Estates and Trusts Law. She is a member of the ABA TECHSHOW Planning Board and enjoys sharing how she uses technology to enhance client service and make the practice of law more enjoyable. She blogs at nefflawoffice.com/blog (when she can put stop playing with her iPad). email: donna.neff@nefflawoffice.com. 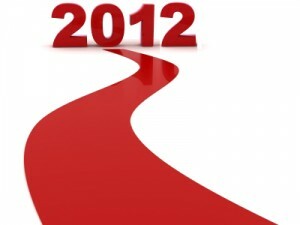 2012 will be a breakthrough year in the spread of online dispute resolution. UNCITRAL will deliver its recommended rules for a global, cross-border, small-claims resolution system in the Spring, and the first working pilot for the UNCITRAL design will launch in the Fall, resolving disputes between businesses and consumers in Europe, Asia, and America. More companies and consumer advocacy organizations will move to resolve problems online as they respond to the growth in eCommerce and react to the preferences of their consumers and users. The platforms are also becoming more sophisticated, moving onto mobile devices and integrating audio and video conferencing. For ten years we have debated and discussed system design for online dispute resolution, and the window is now opening for these designs to become a reality. I can’t wait. Colin Rule, CEO of Modria.com, an ODR provider. From 2003 to 2011 he was Director of Online Dispute Resolution for eBay and PayPal. He is the author of Online Dispute Resolution for Business (Jossey-Bass, 2002) and the forthcoming book Novojustice: Online Dispute Resolution and the Future of the Internet (ABA Press, 2012), email: crule@modria.com. The tablet revolution is transforming the consumer computer market. As more and more lawyers realize the mobility offered by these devices, law firms’ IT departments will be forced to accommodate these devices. iPads and other tablets will appear in court, in mediations and in lawyer’s briefcases on visits to clients. The ABA Commission on Ethics 20/20, Law Societies and Bar Associations will start to issue Best Practices, Governing Principles, Checklists and other documents to guide lawyer’s use of Cloud Computing technologies. A great example of this is the Cloud Computing Working Group Report prepared by the Law Society of British Columbia. As Microsoft’s SharePoint, PBWorks and other cloud-based technologies become widely accepted, clients, particularly corporate ones, will demand that their sensitive files be handled in secure web-based ‘war-rooms’ rather than by email. Family Law and personal injury litigation cases have already felt the impact of social media evidence. As more lawyers gain experience with mining social media treasure troves and handling e-discovery, the use of social media evidence will only grow. As further news of hacking attempts by foreign-based entities emerge against law firms, security and privacy will emerge as a major client concern of law firms. As a result law firms will have to take further security precautions, particularly in merger and major acquisition deals. The economic back-lash against law schools that is growing will force law schools to provide skills and business-based courses intended on better preparing law students to go into legal practice. The self-regulation of the legal profession has been a hallmark of the profession. However, the unmet demand of the middle-class for affordable legal services combined with the need for greater access to justice will place governments under increasing pressure to take away the self-regulation of the legal profession as one of the ways to increase the competition for the provision of legal services. The tide of change is being felt in the UK courtesy of the Legal Services Act. This Tsunami of change will start to impact on a global scale as the demand for greater efficiency and competition in the legal profession grows. LegalZoom represents the first steps of corporate America invading the previously hallowed halls of the legal profession. The front-line of the legal profession to face this onslaught will be the Main Street Lawyer as they lose previously bread-and-butter work to these new web-based competitors. Governments across the world are facing unprecedented economic pressures. Building and staffing brick courthouses that cost hundreds if not thousands of dollars per hour to run in order to hear low-value consumer disputes will come under increasing scrutiny. ODR – Online Dispute Resolution and other alternative dispute resolution methods will be examined as ways to provide justice in a cost-effective and affordable manner. After all, if eBay can handle 60 million consumer disputes per year, 90% of which are resolved entirely by software and the majority of which are resolved amicably, then governments will be asking themselves some hard questions as to why they can’t offer ODR to take the burden off stretched legal administration budgets – and decrease delays and increase satisfaction at the same time. Now it is your turn – gentle readers, what are your tips and predictions for coping with 2012? Let’s hear your thoughts, ideas and predictions! This entry was posted on Saturday, December 31st, 2011 at 5:00 am	and is filed under Adding Value, Budgeting, Business Development, Change Management, Firm Governance, humour, I'm a Mac, Issues facing Law Firms, Law Firm Strategy, Leadership and Strategic Planning, Make it Work!, personal focus and renewal, Technology, Tips, Trends. You can follow any responses to this entry through the RSS 2.0 feed. You can leave a response, or trackback from your own site. Here are additional tips from Robb Moore, CEO of ioSafe (www.iosafe.com) that should have been included in the original post and were accidentally deleted by the writer. My apologies Robb!! 1. If need to buy any device with a mechanical hard drive, buy it now. With the Thailand floods, the prices will double or triple over the next few months. Don’t expect prices to come down until March. 2. “Backup” means make a duplicate copy of your data NOT move your data to another device. Practice 3-2-1 Backup! Keep at least 3 copies of your data on at least 2 different devices and at least 1 copy either on a fireproof waterproof hard drive or offsite. 3. A Redundant Array of Individual Disks or “RAID” protects against mechanical failure but not against accidental deletion or RAID controller failure. RAID is not “backup.” You’ll still need to back up the array to probably a second array. RAID 0 (aka “striping”) is actually more vulnerable than a single mechanical disk. Read about the options or get a professional to help. 4. Think about every system used in your practice – now imagine it dead. Do you have a plan to replace the system? How many days will it take to get back in business? Does this exceed the number of days your clients will wait for you to recover? The time to plan for disasters is BEFORE disaster strikes – not after. 5. Use a toll free number as your main inbound phone line. You can reroute the number to ring at any phone in the US incase your line goes dead.